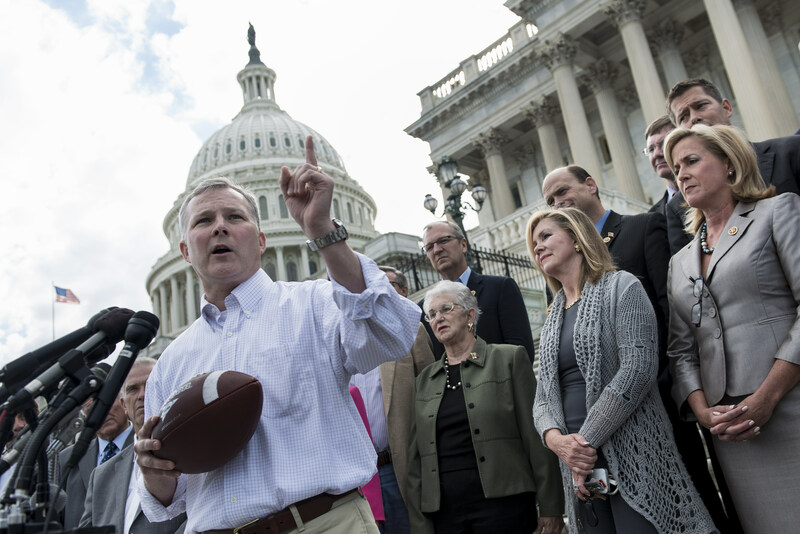 An Arkansas news outlet says Rep. Tim Griffin, a Republican who represents the second congressional district, will not seek reelection in 2014 after only two terms in the House. Griffin cited family responsibilities in a statement to Talk Business Arkansas. "God has blessed me with a wonderful wife, Elizabeth, and two precious children, and for several months Elizabeth and I have been discussing whether to seek a third term in Congress, especially considering the formative ages of Mary Katherine and John. It has been an agonizing and difficult decision involving much prayer, thought and discussion. We have decided that now is the time for me to focus intently on my top priority, my family, as Elizabeth and I raise our two young children," he said. Can the GOP in control of the Senate in 2014? He added that he will complete his second term but not run for a third, and has no specific plans after his term ends except for an intent to "continue in public service, including as a Lieutenant Colonel in the Army Reserve." Elected in the tea party wave of 2010, Griffin was considered a possible challenger Democratic Sen. Mark Pryor for the Arkansas seat in 2014. He announced last November that he would not seek the seat because of his appointment to the House Ways and Means Committee. The nonpartisan Rothenberg Political Report rates Griffin's district as "safe Republican." Griffin was a protégé of Karl Rove in the George W. Bush White House, and was appointed as an interim U.S. attorney in Little Rock in 2006 after a scandal in which several U.S. attorneys were fired by the administration. He was never confirmed by the Senate and later resigned the position.